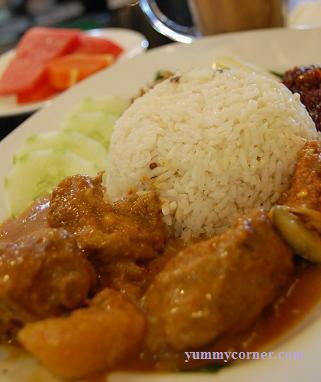 Nasi Lemak which has been considered as one of our national delicacy which is served all day long everywhere ranging from home to stalls to restaurants and cafe. This dish can be very simple with just small anchovies, cucumber sambal and egg, or it can be highly elaborated as well. I found one restaurant that serves tantalising and “well-customized” nasi lemak. 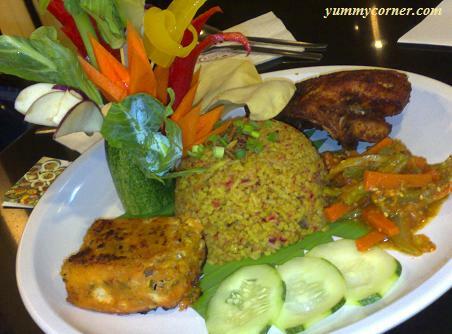 The highly recommended Nasi Bojari – An Indonesian Royalty special @ RM 12.80 (Launching on 21 July 08 – 31 August 08). The otak-otak and fried chicken is a must try! Rempah Ratus Restaurant & Cafe, a trendy dining outlet that offers diners a contemporary with kampong’s feel ambience for any occasion. The perennial favourite nasi lemak is the centre of attraction at the Nasi Lemak Rempah Ratus restaurant in Bandar Puchong Jaya. You are currently browsing the Yummy Corner weblog archives for July, 2008.